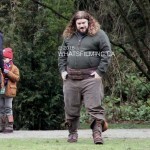 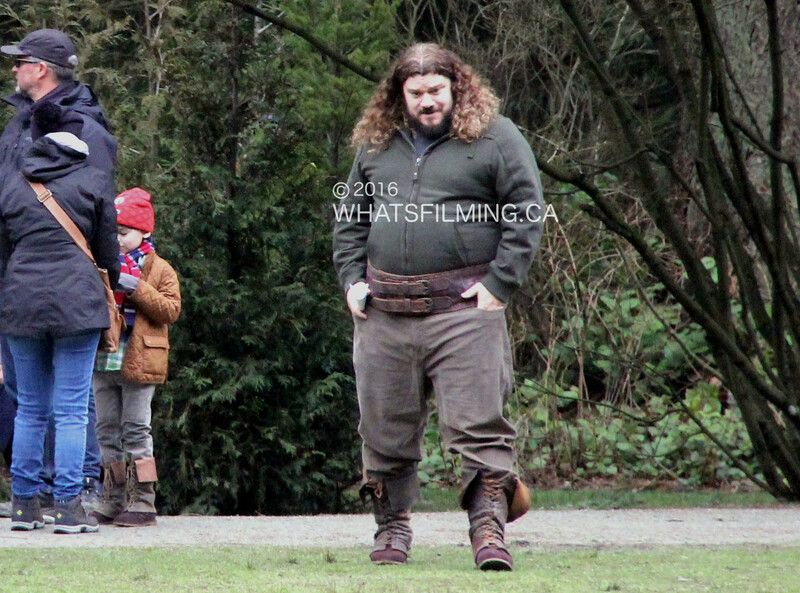 Once Upon a Time filming took place at one of their more frequent locations at Burnaby’s Central Park today. 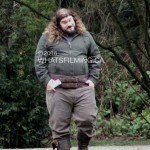 Check out a few photos below. 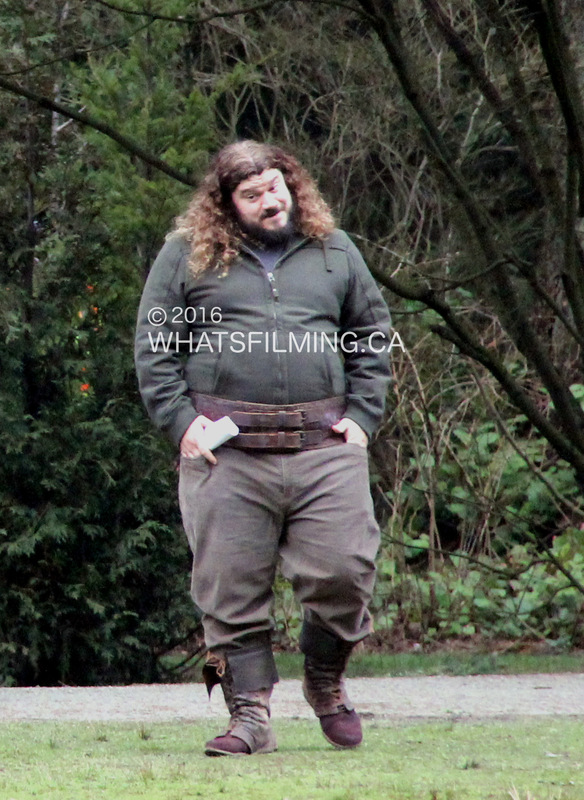 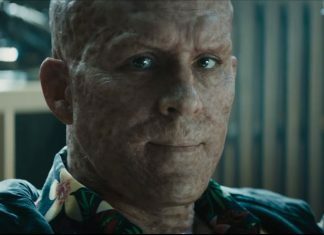 Spoiler Warning! 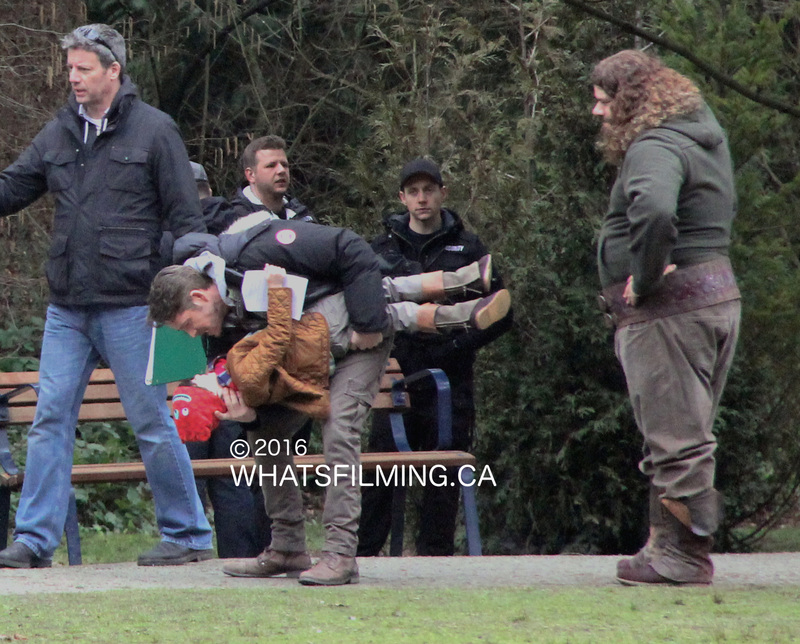 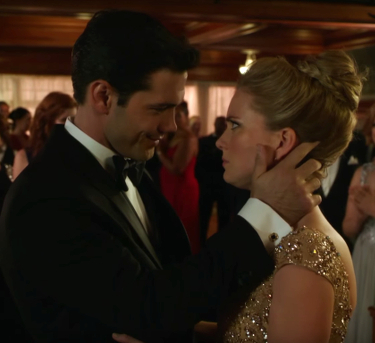 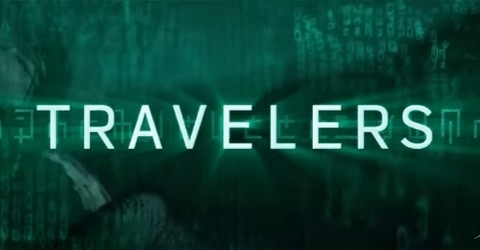 As with all set photos, there’s always a possibility of a picture or something we say could be considered a spoiler. 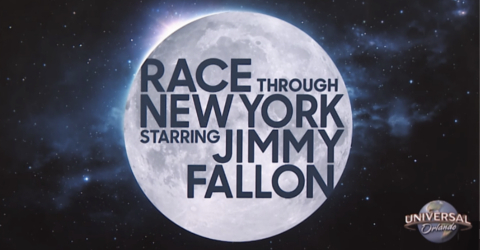 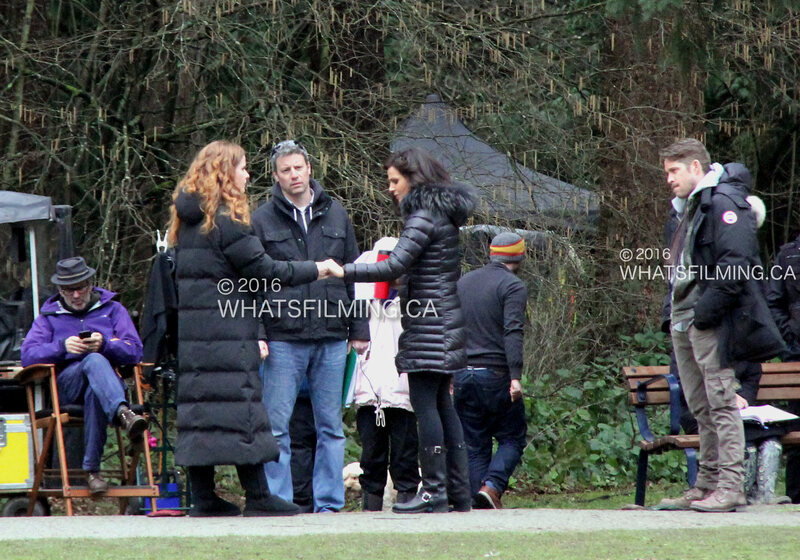 While I was there cast and crew were doing rehearsals and final preparation for the scene. 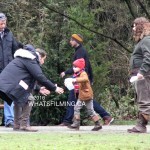 At that time, Lana Parrilla (Regina), Sean Maguire (Robin Hood), Rebecca Mader (Zelena), Jason Burkart (Little John) and Raphael Alejandro (Roland) were all on set. 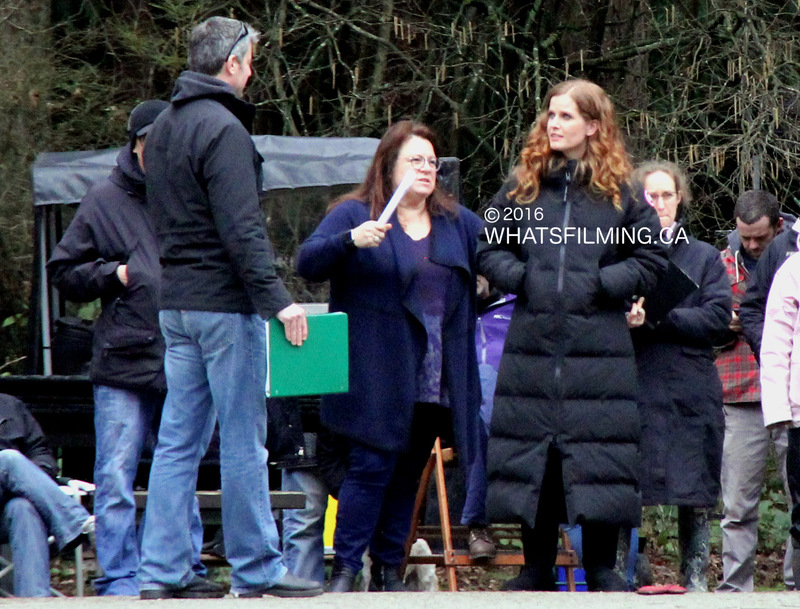 The rehearsals were taking place near the West edge of the park’s Upper Pond. 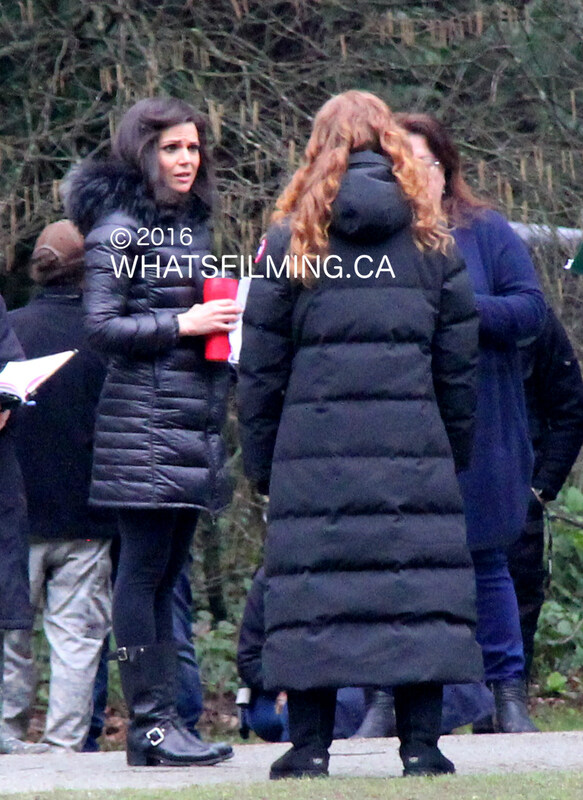 From what I could see there were a couple of main parts to the scene they were rehearsing. 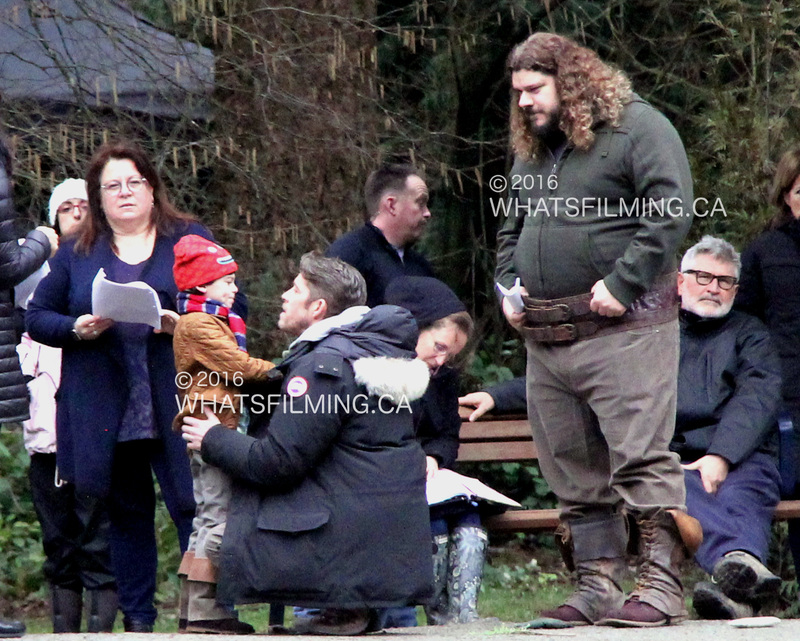 One with Robin Hood and Roland, with Little John standing nearby. 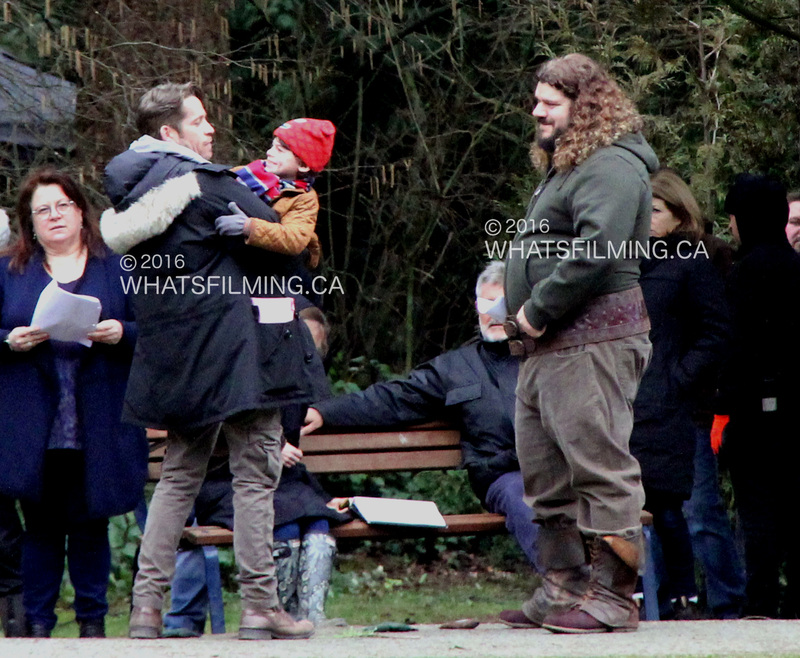 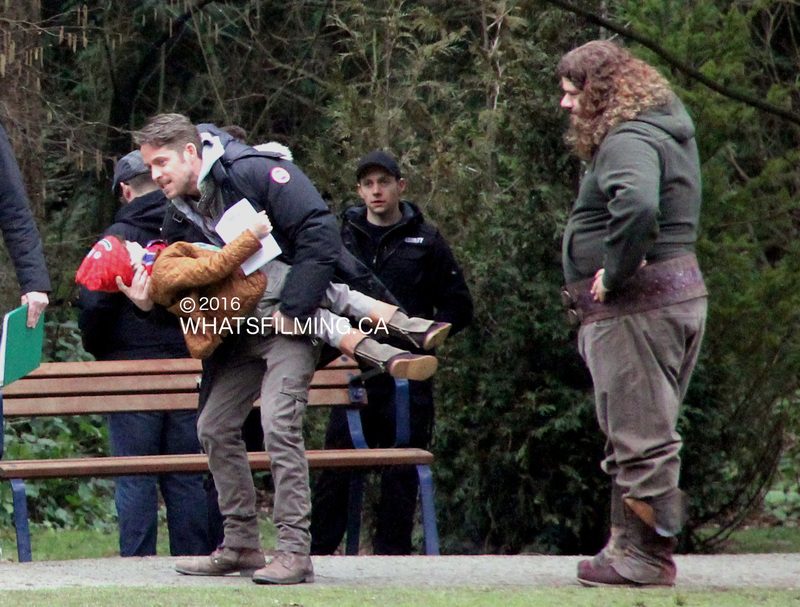 It looked like Roland and Robin Hood were being reunited. 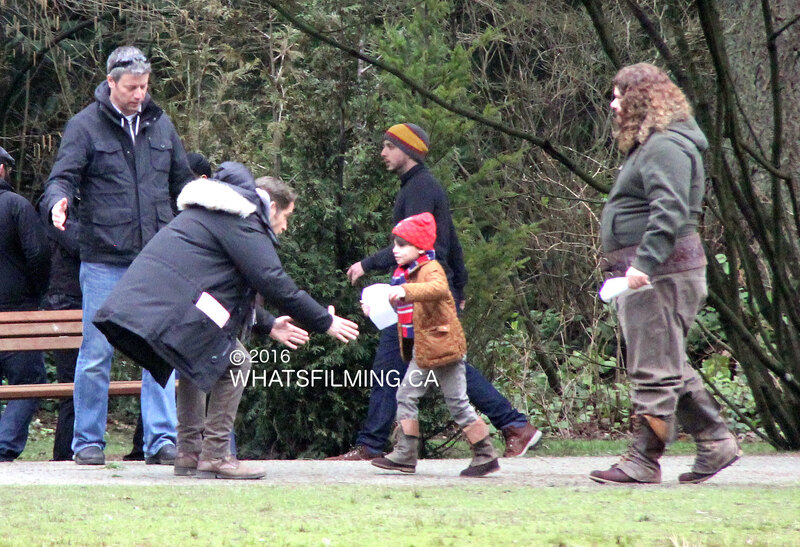 Roland ran up to Robin Hood and jumped into his arms. 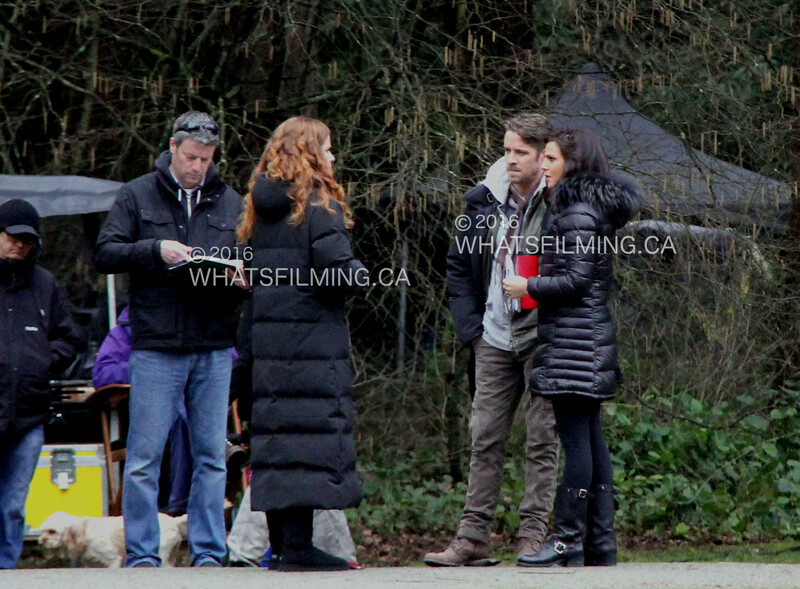 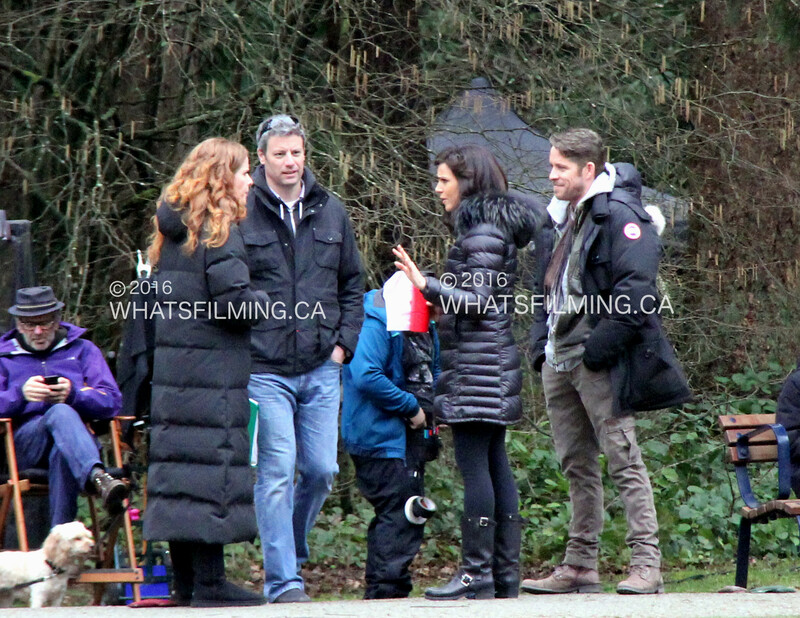 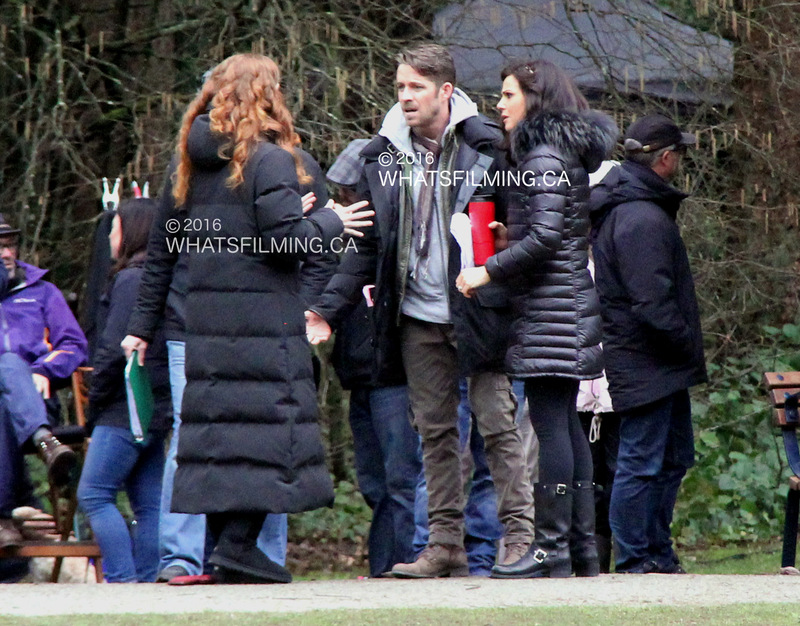 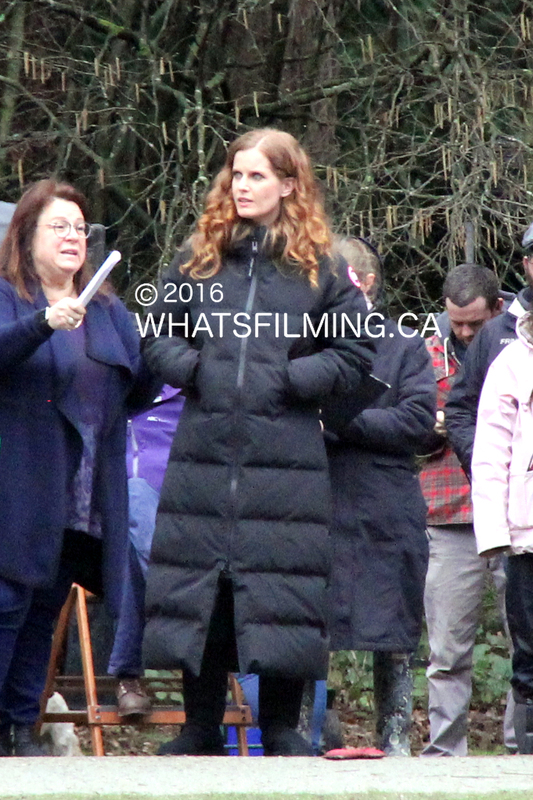 The other part of the scene was a discussion between Zelena, Robin Hood and Regina. 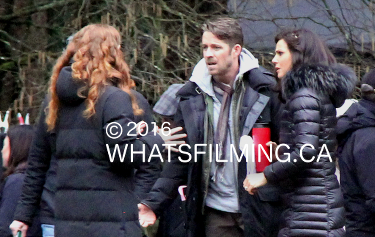 It appeared as though Robin Hood and Regina were upset about whatever what happening. 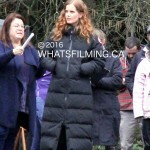 Once Upon a Time will continue filming Season 5 until April 1st and returns to air Sunday, March 6th following a long winter hiatus.